The Blue-throated Hillstar, a newly-described species in the Ecuadorian Andes, is already critically endangered. One of the authors discusses the discovery. The SavingSpecies project in the Colombian Andes is trying to reforest deforested areas to create habitat for climate-threatened species, especially hummingbirds. Roseate Spoonbills have been showing up in the Northeast and Midwest because of a breeding boom this summer that sent young birds in search of new foraging areas. Red and blue LED lights may be able to keep birds away from planes and airports. Broad-winged Hawks migrate south in September, and their movement is noticeable on eBird distribution maps. House Sparrows in Australia managed to adapt to living in a lead mine. British birders are being asked to spend 20 minutes a week listening for Tawny Owls, a species that seems to be in decline. The loss of salmon is behind the decline of orcas in the Pacific Northwest, but lingering PCBs are harming orcas in other parts of the world. The Supreme Court will hear a case on its first day that will affect critical habitat designations for endangered species. Attacks on the Endangered Species Act seem directed to benefit certain industries over biodiversity. A judge returned grizzly bears around Yellowstone to the endangered species list and stopped the planned hunts. At issue is whether the government gave adequate consideration to the health of the species as a whole. A study in New York City showed that while feral cats are good at killing birds and other small mammals, they are not good at killing rats. A recent report of an outbreak of elephant poaching in Botswana may not be accurate. A woman found a two-headed copperhead in Virginia; such mutations have been documented before but are rare because two-headed snakes tend not to survive for long in the wild. Here is an introduction to the pawpaw, a native fruit in eastern North America. A research project is surveying population distribution of the fossa, a mongoose-like predator endemic to Madagascar. The National Park Service decided to reintroduce wolves to Isle Royale National Park after the population dwindled to two. Small, isolated populations of some species like the Alcon Blue might be able to survive with a bit of protection. The New Jersey Pinelands can recover quickly after a forest fire, as fire is an important stimulus for some of its plants. The Trump administration is getting rid of the EPA's science advisor, a position that advises the agency's administration on the science behind the agency's policies. The last time it was this warm, the sea level was 20 to 30 feet higher according to historical analysis from a glacier site in Antarctica. A lake in the Arctic is bubbling with methane from thawing permafrost. Environmental fallout has continued from Hurricane Florence as flooding is putting pressure on the levees surrounding a coal ash pond in South Carolina. Google is mapping carbon emissions to provide city-level data to local policymakers. A number of US cities, including Washington, DC, have had a record number of nights above 70°F this year. While meeting the 1.5°C goal of the Paris agreement is still possible, governments and businesses so far have not taken the steps necessary to do it. Hurricanes pick up and move birds hundreds or thousands of miles out of their normal ranges, and birders go out to look for displaced birds as hurricanes pass. 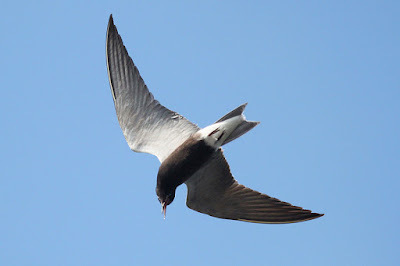 For example, a Trindade Petrel was found near Raleigh during Hurricane Florence. The article includes several other examples from this storm. This year's Winter Finch Forecast predicts irruption years for many boreal species. A radar study estimates that 4 billion birds cross from Canada through the U.S. in the fall and 2.6 billion return there in the spring. The Saltmarsh Sparrow population has been declining about 9% per year since the 1990s and may become extinct if sea level rise wipes out enough of the salt marshes where they breed. Helmeted Hornbills are threatened by poaching since their casques are valued for carving into luxury goods. The forests where they live are also threatened by logging and other industries. Some conservationists are experimenting with using seabirds with tracking devices to monitor illegal fishing operations. A woman writes about taking up birding in the aftermath of a miscarriage. In the evening, Seattle's crows gather in staging areas to fly to their nocturnal roosts. Audubon notes the rise of internet cartoons like False Knees with birds as their main characters. A research project is using video to test what birds see prior to window strikes. A recently-discovered species, the Willard's Sooty Boubou, may already be endangered due to pressure from agricultural development. 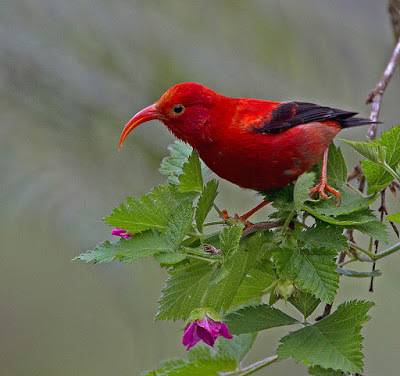 Two authors of that study discuss the conservation challenges facing mid-elevation species. Planting trees in pastures can help forest birds by connecting otherwise fragmented forest habitats. The BirdReturns incentive program is providing usable habitat for migratory shorebirds in California's Central Valley. Conservationists released captive-bred White-rumped Vultures to boost declining vulture populations. Avian Hybrids: Are yellow-rumped warbler hybrids more susceptible to parasite infections? Stokes Birding Blog: Prime Time For Hawk Migration watching is now! Here's How! The Bradford Pear was introduced as a street tree for the suburbs in the 1950s and has since escaped cultivation and turned into an invasive weed. Scientists have traced most illegal ivory trade to three major export cartels. Some endangered species have populations so small that they could fit inside a subway car. The Partnership for the Delaware Estuary runs a hatchery at the Fairmont Water Works to restore freshwater mussel populations around the watershed. It is important to respect Native American rights and culture while visiting public lands (especially in the West). Microplastics can be eaten by aquatic insects (like mosquito larvae) and passed up the food chain, where they accumulate in predators like fish and birds. An aerial survey recorded 605 animal sightings in the Northeast Canyons and Seamounts Marine National Monument. A new study documents nocturnal pollination of food crops by moths. Ecologists are searching for ways to stop the spread of invasive Phragmites. The destruction from Hurricane Florence includes the flooding of toxic sites such as hog farm waste lagoons, coal ash dumps, and potentially Superfund sites. One solution to sea level rise and stronger storms is to reform the National Flood Insurance Program to make it easier for owners of flood-prone homes to move to higher, safer locations. California and New Mexico are suing to block the Trump administration's rollback of regulations of methane emissions at drilling sites. The oldest nuclear energy plant in New Jersey closed this week. The plant had become too expensive to operate and had leaks of radioactive material in recent years. Seabirds like murres have struggled to breed in Alaska for last several years. Meanwhile emaciated dead seabirds are washing up on the beaches. The causes are unclear, but climate change, and particularly unusually warm ocean water, is suspected. Whooping Cranes reintroduced to the Midwest continue to migrate, but they sometimes winter far north of where they were taught to migrate. NYC Audubon and many volunteers continued to monitor the 9/11 Tribute in Light to protect migrating birds and gather evidence for how birds react to lights. Radar images show that the density of birds around the memorial is far greater than elsewhere in the area. Periodically shutting the lights off can reduce bird fatalities. A new study found that nestlings of different grassland bird species leave the nest at different times of day. The researchers monitored nests with mini video cameras. Indonesia gave in to the pet bird trade and rescinded protection for the White-rumped Shama, Straw-headed Bulbul and Javan Pied Starling. Mummified Adélie Penguins are a hint of past climatic changes that made breeding more difficult for the penguins. Young birds that help their parents raise siblings reproduce more successfully in the future. Bones of elephant birds from about 10,000 years ago show evidence of butchering and suggest that humans arrived in Madagascar much earlier than previously thought. Mercury pollution interferes with the ability of birds to migrate. A virus can cause parrots to lose their feathers. Captive flamingos follow their instinct to forage at night. The 285 bird species recorded in the New Jersey Meadowlands are a sign of how well the marshes have recovered from decades of pollution. The Meadowlands has a birding festival this weekend. The Monarch Joint Venture: Revised Handout - Raising Monarchs: Why or Why Not? Roy Dennis Wildlife Foundation: 33-year-old Golden Eagle – longest recorded ringed golden eagle in the world. Wetlands around the Great Salt Lake are important oases for wildlife but are unprotected by federal or state law and are threatened by development. A missing hiker in Oregon was probably killed by a cougar — the first known wild cougar attack in the state's history. There have been a lot of recent reports of cougars in Pennsylvania, but most are probably bobcats or house cats. Even a small amount of plastic can kill a sea turtle, and some sea turtles have been found with over 300 pieces in their digestive tracts. Beavers could have a role in restoring lost western wetlands and storing water for the future. Invasive spotted lanternflies have been found in Philadelphia, showing that the species continues to spread. Tidal wetlands are threatened by sea level rise, so management will be needed to allow them to migrate to higher elevations, especially in populated areas. Several years ago North Carolina banned state agencies from using climate science in disaster and development planning for coastal areas. Political appointees in the Interior Department have similarly blocked the department's agencies (like the National Park Service) from mentioning climate change in their long-term planning documents. Many hog farms and coal ash dumps lie in the path of Hurricane Florence and have potential to add environmental disasters to the natural disaster of the hurricane. Cape Town narrowly avoided running out of water, but the efforts to do so revealed societal fissures. The water crisis gave a hint of what politics will be like in the next few decades. 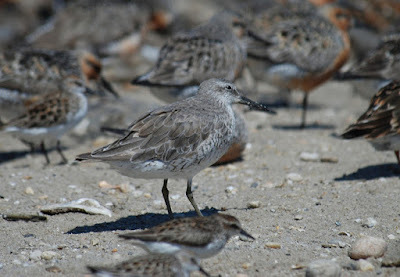 This year's World Shorebirds Day counting project runs from September 5 through September 11. If you are birding this weekend in a place with shorebirds, submit shorebird totals to eBird and share the checklists with the World Shorebirds Day account. Loggerhead Shrikes break the necks of their prey by whipping their heads back and forth. Eight bird species from South America were recently confirmed extinct. Settling on Spanish bird names is complicated by regional variations. The Golden Eagle is among the species selected for the 25 Genomes project. A research group commissioned a comic to explain its penguin foraging study. Northern birds have to complete their molts faster than birds in the tropics. Willow Warblers arrive earlier in more fragmented habitats. A study of House Finches showed how bacteria became more virulent in response to the birds becoming more resistant to infection. Climate change and deforestation are reducing habitats for cloud forest birds in Honduras. Corvid Research: Can crows and ravens hybridize? 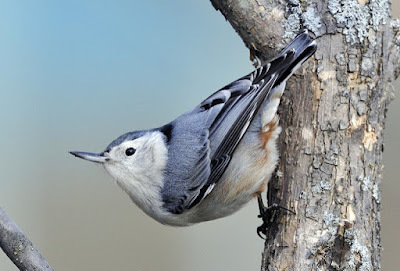 Stokes Birding Blog: When to Take down Hummingbird Feeders! ornithologi: An Illustration of the Accipiters of North America – The Sharp-shinned Hawk, Cooper’s Hawk, and Northern Goshawk. Snapshots of Nature: And Fall. Brazil’s National Museum in Rio de Janeiro, which included both natural history collections and cultural artifacts, was gutted by a fire early this week. Museum officials are still sorting through the damage, but at the moment it seems that the entomological, paleontological, and archaeological collections were mostly destroyed, while other invertebrate and vertebrate collections and the herbarium survived. The fire was so devastating in part because of the government would not pay to fireproof the museum. The fire underlines the importance of digitizing museum collections and offsite storage of the data. Human activity causes normally diurnal animals to become more active at night. Many plants along the Texas border are threatened by climate change and wall construction. NPCA is running a pilot project to reduce waste at some of the most-visited national parks. The link includes suggestions for how visitors can reduce the waste they generate. A rare Queen butterfly was found this week at DeKorte Park in New Jersey. Read more at the Meadowlands Nature Blog.